Humble Beast has been a breeding ground for highly talented and innovative rappers and hip-hop artists. Eshon Burgundy is definitely no exception to that rule. 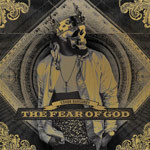 The Fear of God circles around the same central theme as the title of the album and focuses on different scriptures, such as Proverbs 1:7 and Romans 3:18 -- each referenced in "The Fear of the Lord (Interlude)." Eshon brings a powerful and relevant message to today's culture and sets it all to a pretty stellar soundtrack. The album starts with the title track and Eshon rapping over a soft piano. When the beat finally kicks in, you can begin to feel his passion for the subject matter. 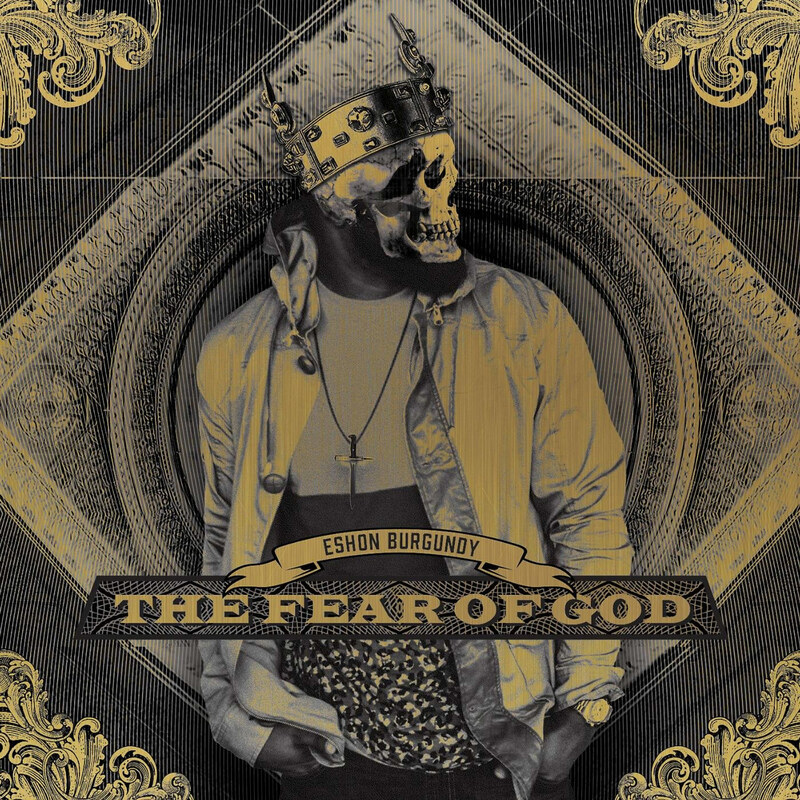 Eshon continues rapping on fear as he drops some heavy knowledge on "The Healthy." One of the best tracks on the album comes up next in "Blood Money." The term has a particularly negative connotation, but Eshon is rapping about how Christ's blood paid for everything. Eshon is an artist that doesn’t really stray too far from his wheelhouse with his sound. Typically, Eshon is heavy with the boom bap and he likes to bring in some samples from time to time, but that’s pretty much his sound. This works for him and he has mastered this particular corner, and kind of rules over it. You would be hard pressed to find a better emcee over boom bap than Eshon Burgundy. “The Fear of God” is the only example you need. Production wise, it is heavy on the boom bap, so long time Eshon fans should know what to expect. He mixes in some soft melodies and soulful hooks to give the listener some different sounds, but the overall feel is the same. “The Healthy” is a good example of this as well. The boom bap almost instantly hits and Eshon just rides it, and then brings in the soulful hook. This is the general feel and equation of the whole record. That gritty feel is where Eshon seems most comfortable and where his talents can shine the most. Eshon has never been one to be subtle about his faith in any form or fashion. The Fear of God follows that pattern. It is a very overtly Christian record. It’s not a Lamp Mode or early Reach type record, in the sense that he doesn’t break down specific passages or scenes from the Bible. Eshon’s approach is to just let scripture run naturally throughout his rhymes. This record gives off the feel that when Eshon is rapping, the gospel just spills out from his heart. The Fear of God has more of a biblical and theological approach. This album is a faith building one that encourages the spirit and soul. There are times throughout this record that it will have you cheering as Christian, because Eshon delivers his lines so eloquently. This is never more evident than on the John Givez assisted “Respect, Power and Money” when he says, “Although I played with God he never played with me/He could have killed me in my sin but instead decided to set me free.” Eshon consistently delivers lines that are full of encouragement for the believer. As a listener, one of the most exciting experiences is listening to all of the collaborations on the record. Just hearing how the artists came together to create their art and seeing if the song lived up to the “on paper” expectations of the collab, leads plenty a fan to purchase an album. Eshon has some pretty sizeable collaborations on The Fear of God, as there is a good mixture of up and comers and veterans on the project. Collaborations are always a slippery slope because they can be a hit or miss, but Eshon handled these collaborations very well, as each artist that was brought on matched his style and the sound of the record beautifully. John Givez liquid smooth deliver and phenomenal lyricism added something very special to “Respect, Power and Money.” JGivens added his dynamic personality perfectly and it beautifully juxtaposed the soulfulness of JR on “Come Alive.” Braille and Eshon give all the hip-hop heads a track that can be salivated over for months on “Retro Sonday.” Eshon also added some great soulful voices throughout the record to take the edge off of the gritty tone of the record. "Will somebody kindly remind them that I'm soakin' in that… Blood money, blood money, blood money, money. Paid for it all in blood; that's the price of love," turns something thought of as negative into the greatest positive the world has ever known. While the lyrics to "Blood Money" are powerful, those in "Control Issues" are a bit more on the clever side. The song is about giving God control of your life and Eshon spits, "Went from those who snorted powder to bangin' that David Crowder; Oh, how He love us." A couple of spots later is the aforementioned "The Fear of the Lord (Interlude)." This is one of the most simple, yet profound, interludes I've personally ever heard. Eshon speaks practically and clearly about the fear of the Lord. Eshon says, "In this sin-infected world that we live in, the fear of the Lord is the exception; not the rule." He goes on to show that the evil in the world is because people don't fear the Lord, and backs it all up with scripture. Eshon does more than point out the problem; he offers the solution of Jesus as well. The Fear of God finally closes out with "A Close Distance." Eshon raps about God's omnipotence and omnipresence. In the chorus Eshon raps, "I can't put You in a box. Why would I try? I ain't got enough words in my stash to describe. I'm just down here on the earth looking up at the sky observin' the distance that exists between You and I. How are You so high and so low? Down here with me, yet You're light years beyond the globe. They must turn around 'cause they don't know. How do you turn your back on something that beautiful?" The Fear of God is a crowning achievement in Eshon Burgundy's still young career, and another great album from the Humble Beast family. The label has a heart for God and spreading his word and is able to seek out and sign like-minded artists on the regular. Eshon's love for God and passion for a lost and dying world is evident. The Fear of God points out the glaring and obvious cause for the hatred and violence in the world today. It's so simple yet those that don't know Christ refuse to see that as the true problem. If you like big and banging beats, you aren't going to get that from Eshon Burgundy. If you just like great hip-hop with deep lyrics and some added musicality, this album is most definitely for you.